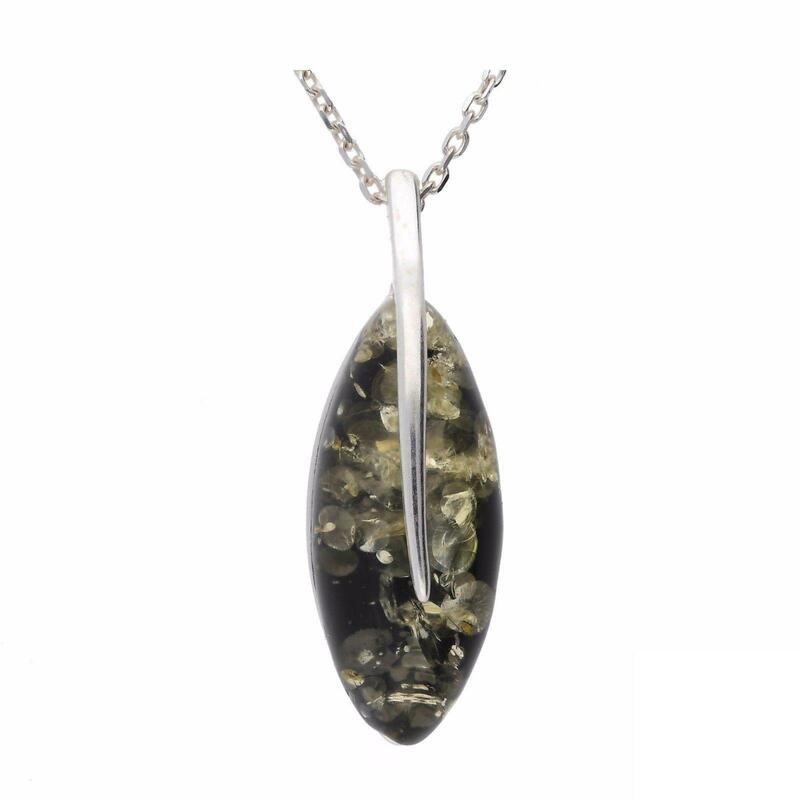 Beautiful Sterling silver pendant, featuring a marquise shaped piece of green amber. Our Artico green amber is sourced from the Baltic regions, and is in fact handmade in Poland. This leaf shaped pendant is perfect for everyday wear, and can be paired with our Marquise Green Amber Studs for a classic set.